additional assistance to Ukraine, and for other purposes. 5 ‘‘Ukraine Freedom Support Act of 2014’’. Sec. 6. Codification of executive orders addressing the crisis in Ukraine. Sec. 7. Major non-NATO ally status for Ukraine, Georgia, and Moldova. Sec. 8. Increased military assistance for the Government of Ukraine. Sec. 9. Expanded nonmilitary assistance for Ukraine. Sec. 10. Expanded broadcasting in countries of the former Soviet Union. tion 5318A of title 31, United States Code. 3 capital structure of the entity. trol Act (22 U.S.C. 2794). 13 5312(a)(2) of title 31, United States Code. 1 Immigration and Nationality Act (8 U.S.C. 12 SEC. 3. STATEMENT OF POLICY REGARDING UKRAINE. 2 Government of the Russian Federation. 12 subsection (c) with respect to Rosoboronexport. 24 (ii) of that subparagraph. ment used for tertiary oil recovery. section (c) with respect to Gazprom. 1 38 of the Arms Export Control Act (22 U.S.C. 12 VII of title 15, Code of Federal Regulations. terest of the foreign person. 14 of equity or debt instruments of the foreign person. tions on the importation of goods. 23 Emergency Economic Powers Act (50 U.S.C. 13 Trade Agreements Act of 1979 (19 U.S.C. 14 Act of 2010 (22 U.S.C. 8511)). 24 and the reasons for the determination. 3 form, but may include a classified annex. 17 transaction is necessary and appropriate. 20 form, but may include a classified annex. 16 (2) Executive Order 13660 (79 Fed. Reg. able-through account by the foreign financial institution. 11 reasons for the determination. ING THE CRISIS IN UKRAINE. cation described in section 4(h). 14 U.S.C. 2751 et seq.). 22 Armed Services of the House of Representatives. ture through the end of fiscal year 2017. 20 for internally displaced persons in Ukraine. 24 population in the event of a crisis. 23 imported from the Russian Federation. 14 (v) improve energy efficiency. 22 insurance for such investments. nizing and election monitoring in Ukraine. tees specified in subsection (a)(1). 17 carry out this subsection. 8 and Radio Free Europe/Radio Liberty. 22 Internet-based platforms, among other platforms. If there was no American prison in Iraq, there would be no IS now. Bucca was a factory. Ten years ago, Abu Ahmed was incarcerated at Camp Bucca, a US run prison in Iraq. In an exclusive interview a decade later to the Guardian, he reveals how the Islamic State (IS, formerly ISIS/ISIL) might never have formed if US detention centers hadn’t existed. 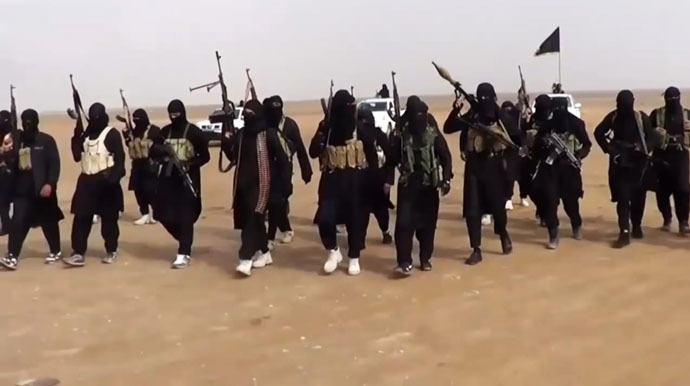 Abu Ahmed, who uses a pseudonym, is now one of the Islamic State’s senior leaders. He recalls how he initially feared going to Camp Bucca, but he soon realized he had arrived at a facility that was a hive of Islamist radicals. The Iraqi government estimates that 17 of the most important IS leaders spent time in US prison’s from 2004-11, the Guardian reported. The inmates were released at different times and were spread across the country. However, they came-up with an ingenious way to stay in touch after being granted their freedom. They would write each other’s telephone numbers and addresses on the inside of their boxer shorts, as they had no access to paper or other electronic aids. During his time at Camp Bucca, Abu Ahmed also came face to face with the current IS leader, Abu Bakr Al-Baghdadi. He says Al-Baghdadi proved he had a direct lineage to the Prophet Mohammed and also had a PhD in Islamic studies from the University of Baghdad, which played a key role in being able to maneuver himself into a position of power. “Baghdadi was a quiet person. He had a charisma. You could feel that he was someone important. But there were others who were more important. I honestly did not think he would get this far,” Abu Ahmed told the Guardian. “The Americans never knew who they had,” Abu Ahmed continued, speaking of Al-Baghdadi. However, the US army was not alone as most of Baghdadi’s fellow prisoners – some 24,000 men, divided into 24 camps – seem to have been equally unaware. However, the current IS leader certainly managed to create a rapport with the US Army. He was often seen as a go-between to settle disputes between rival factions in the prison camp. 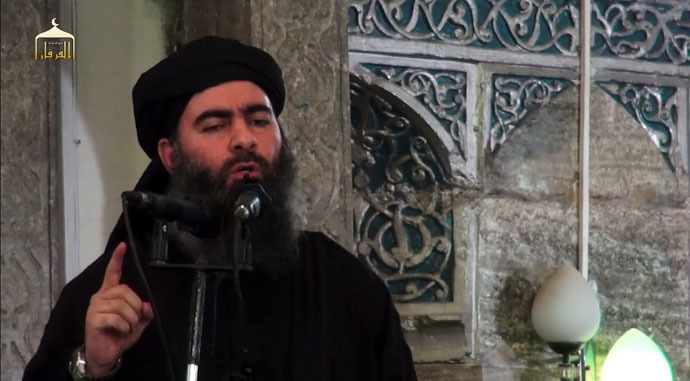 By December 2004, Baghdadi was deemed by his jailers to pose no further risk and his release was authorized. He eventually left Camp Bucca in 2009. 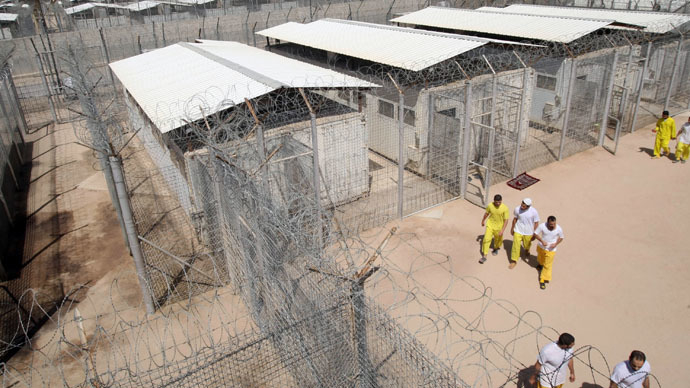 Camp Bucca was one of a number of US prisons in Iraq, but the most infamous was Abu Ghraib, which closed in April. It came to international attention in early 2004, when it was revealed that US troops physically and sexually abused, tortured, raped, and killed inmates. The disturbing images that came out of the facility went a long way to fueling Iraqi fury with American forces, and forever changed the perception of the war. Hundreds of prisoners escaped from Abu Ghraib last year when nearby Fallujah fell under the control of the Islamic State. An attack on Abu Ghraib and Taji prisons freed more than 500 prisoners, including a number of senior militants and killed 120 Iraqi guards and SWAT forces, an Al-Qaeda spokesman told reporters last year. The Senate torture report has inspired reams of reporting, most of it supportive or at least non-critical. An tide of editorials here, here and here have matched the tone of our own. Sen Dianne Feinstein is the hero of the hour to long time observers. But now on Day Two the defenders have emerged to criticize the report and explain the past on their preferred terms. Three past CIA directors who presided over the torture years explained their actions in the friendly opinion pages of the Wall Street Journal, which added its own hardline editorial. The basic answer: torture –wait, make that enhanced interrogation techniques — worked, thousands of livers were saved, and the temperature at the time demanded tough stuff. Democrats back then wanted bold action, and who are they to complain now? Present CIA director John Brennan — once Obama’s national security adviser — added his own toned down criticism. His take: mistakes were made, but we no longer do this stuff. Then there’s the minority report from Republicans on the Democrat-dominated Intelligence Committee that produced the door-stopper 6,000 page still-secret report and the publicly released versions that’s created all the news. The GOP members picked at perceived flaws and noted that no interviews with CIA employees past or present were included to flesh out the claims built on e-mails, memos and printed communications. Other voices are now surfacing. Former Nebraska Senator Bob Kerrey, a liberal Democrat who spent eight years on the Senate intelligence panel, doesn’t think it does any good to release the report without a unified forward action, which won’t happen now. Bush-era legal beagle John Yoo, a former Justice Department lawyer who helped write justifications for water boarding and the like, weighed in critically. John McCain, the only member of Congress actually tortured after capture in North Vietnam, offered his thoughts too. He’s a longtime critic of torture, believing it has little value and taints the country’s image. He was the only Republican to speak out in favor of the Senate report’s dismal findings. It’s hard to know what impact the graphic and gruesome Senate report will have on public opinion. Polls have repeatedly showed a majority of Americans support torture in the terrorism fight. Maybe this time that perception will change. “Mr. President, I rise in support of the release – the long-delayed release – of the Senate Intelligence Committee’s summarized, unclassified review of the so-called ‘enhanced interrogation techniques’ that were employed by the previous administration to extract information from captured terrorists. It is a thorough and thoughtful study of practices that I believe not only failed their purpose – to secure actionable intelligence to prevent further attacks on the U.S. and our allies – but actually damaged our security interests, as well as our reputation as a force for good in the world. “What were the policies? What was their purpose? Did they achieve it? Did they make us safer? Less safe? Or did they make no difference? What did they gain us? What did they cost us? The American people need the answers to these questions. Yes, some things must be kept from public disclosure to protect clandestine operations, sources and methods, but not the answers to these questions. 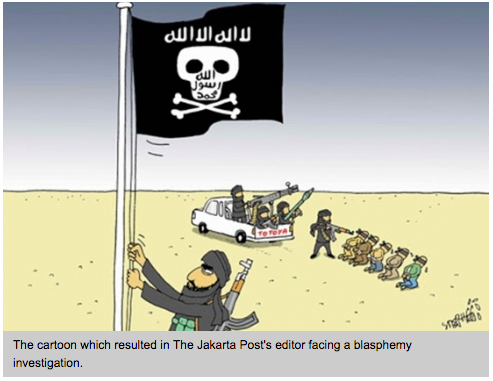 “Will the report’s release cause outrage that leads to violence in some parts of the Muslim world? Yes, I suppose that’s possible, perhaps likely. Sadly, violence needs little incentive in some quarters of the world today. But that doesn’t mean we will be telling the world something it will be shocked to learn. The entire world already knows that we water-boarded prisoners. It knows we subjected prisoners to various other types of degrading treatment. It knows we used black sites, secret prisons. Those practices haven’t been a secret for a decade. Fracking Bakken Bust. Why Shale Oil Is Imploding. That low rumble you hear to the west is the sound of the Bakken Shale Oil Bust. Bomb Trains and all. First shale gas went from fracking boom to fracking bust. Now it’s shale oil’s turn to get fracked. Below about $75 a barrel, most US shale oil becomes unprofitable on a fully burdened basis. And oil is now at $70 bbl. That dog no hunt. Look on the sunny side – the frackers will have to shut in those shale oil wells – and stop lighting the heavens with gas flares. And fewer neighborhoods will get torched by Shale Oil Terror Trains. As shale oil production is shut in, gas supplies from those fields will drop, which should boost natural gas prices a bit near the oil fields. Note, this recent drop is being billed in the popular press as a conspiracy by OPEC or the Russians, (or Green Billionaires ?) when the simple fact is that oil prices “revert to the mean” cost of production, which is a function of the world average cost of production. And the world average cost is about $40 Bbl. So the market is always at risk of playing the limbo down to that floor price – which is about half the cost of production of most US shale oil fields. No new conspiracy theory needed. The shale oil bust was not only predictable, but was in fact predicted, by Art Berman, Deborah Lawrence, and others. The lowest cost oil or gas producers in the world will not give up market share to higher cost North American shale oil or gas. That is what is already happening on the international gas market – where US LNG exports cannot compete against Russian or Mideast gas pipelines – over which real wars are being fought. Not just commodity price wars. Oil prices continued to crash yesterday after OPEC decided to not cut production. Oil prices have fallen below $70 for the first time since 2010. The Bakken shale oil fields of North Dakota, the largest in the United States, is no longer economic and has already peaked. 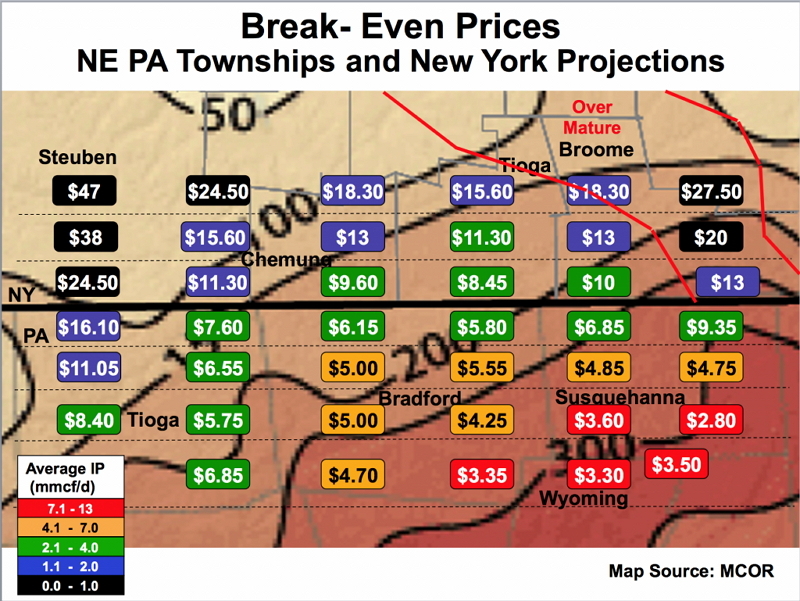 $80 oil is bad for the fracking companies, but $70 is a fracking disaster for most shale oil fields. Most fracking becomes a losing venture below the current oil price, and that’s a big deal. What we are probably looking at is a crash similar to when oil prices crashed in 1986. Lower oil prices are good for consumers and industry, but it could be disastrous for the oil producing regions – which frack shill politicians – like Mississippi’s governor, bemoan. There is another problem that also needs to be considered: fracking companies are generally been financed by issuing junk bonds. A lot of junk bonds. The falling oil price will place stress on the global junk bond market, experts say, with US energy companies at increasing risk of default. The plunge in the price is “the most significant risk that could potentially deliver a volatility shock large enough to trigger the next wave of defaults” in junk bonds, Deutsche Bank said. According to the bank, energy companies now account for about 15 per cent of outstanding issuance in the non-investment-grade high-yield – or “junk” – bond market. Most likely this will trigger defaults throughout the high-yield bond market like the housing bust did, but on a smaller scale. The current articles are saying that the collapse won’t come until prices fall to $60, but just a few months ago they said the collapse would happen at $70. So they really don’t know. Most likely the timing of the collapse will come when creditors cut off the fracking companies and they run out of funny money, and not a moment before. At the moment, some U.S. producers are surviving because they managed to hedge the prices they get for their oil at about $90 a barrel, Fedun said. When those arrangements expire, life will become much more difficult, he said. Without a bounce in oil prices, the fracking boom is in countdown mode right now, with several producers already poised to choke on junk bond debt service.